On the far side of Boka Kotorska (the Bay of Kotor) running up behind the town of Herceg Novi sits the largely unexplored massif known as Orjen. This lies adjacent to Bosnia-Herzegovina and the thin slice of coastal Croatia that is now labelled the Dubrovnik riviera. I thought I would fit in a visit to these remote mountains in May but only managed an afternoon on April 13th. 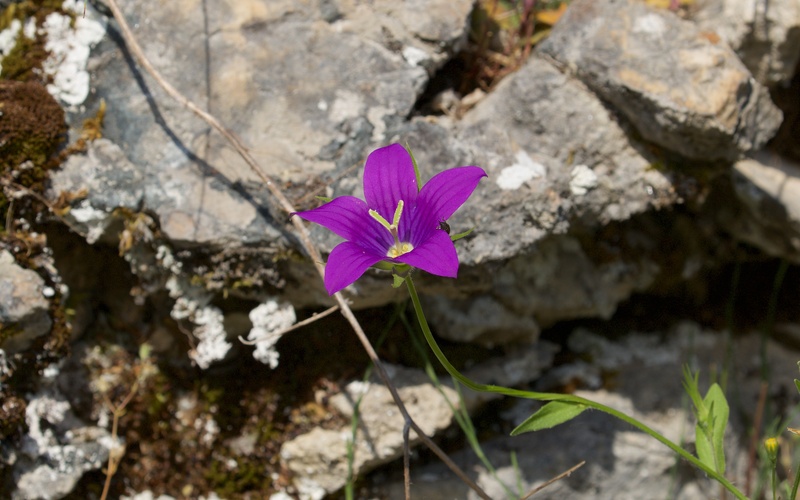 The area is probably the richest botanically in Montenegro, hence this note is more of a reminder to visit another time than an ecological record. 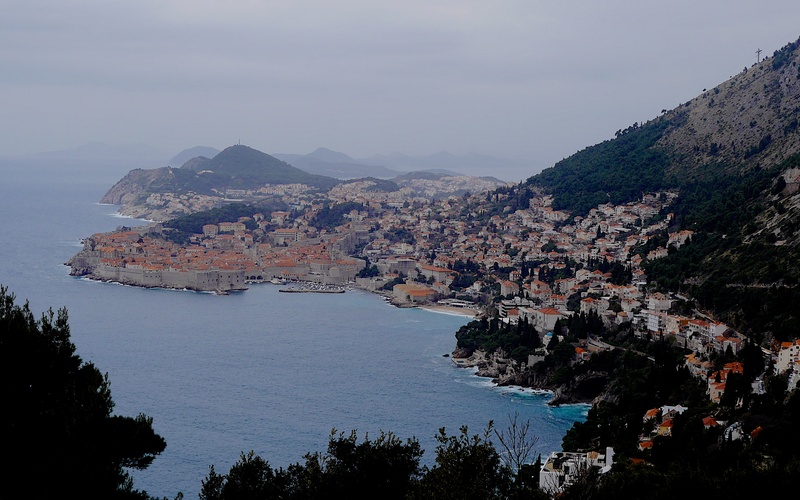 The port of Dubrovnik in March; a short drive across the border from Herceg Novi. The port town of Herceg Novi with the bare limestone of the Orjen massif behind; the ‘table mountain’ on the left is Dobroštica and Radostak on the right. 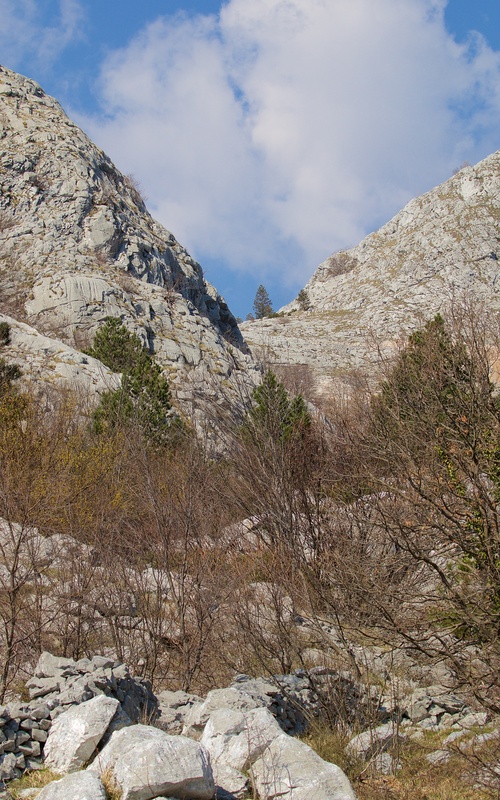 There is a path, built in the late 19th century by the Austro-Hungarian military when all was part of Croatia, that runs up between the huge limestone ridge of Dobroštica and the neighbouring Radostak. This is a long, beautiful valley that becomes steep at the end, with the wonderful Subra bowl and the mountain hut known as ‘Za Vratlom’ over the crest. 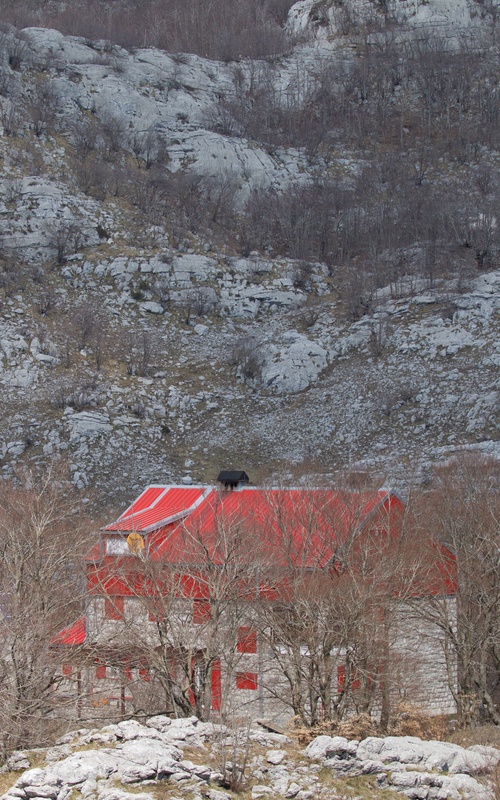 The ‘hut’ is a misnomer, it is more a large mountain lodge, and managed by the Planinarski Klub Subra (or PK Subra which is the Subra mountaineering club). Bookings may be organised via their website (www.pksubra.me). The website is also a wonderful source of information on the mountains and access to them. The path to the mountain hut known as ‘Za Vratlom’ runs up this valley. In the valley, I heard the first cuckoo of the year. There were loud ravens with a nest, alpine choughs soaring and rock thrushes calling from on high. Blackcaps worked the woodlands just as at Lake Skadar. 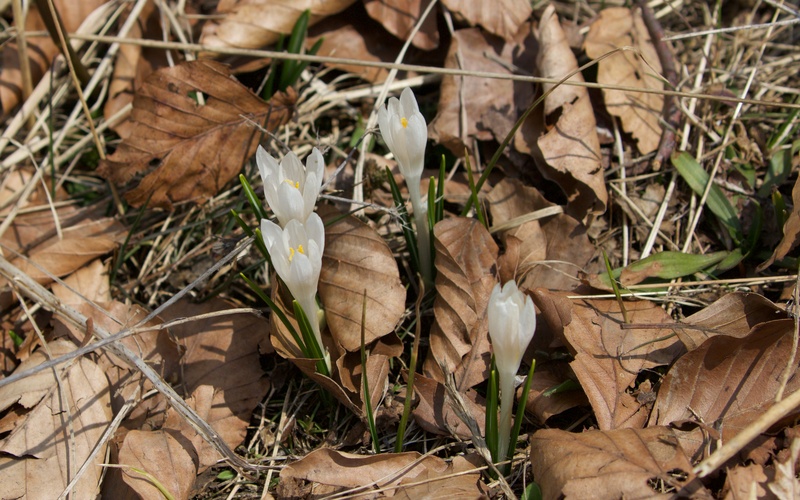 The first spring flowers were appearing alongside the familiar quarter of crocus (Crocus vernus), primrose (Primula vulgaris), alpine squill (Scilla bifolia) and snowdrop (Galanthus nivalis), including the first cowslips (Primula veris). At the hut, I admired the views and the multitude of paths heading into the wilderness and then turned for home in the late afternoon sun. One of a pair of alpine choughs soaring around the high cliffs and the pretty Crocus vernus subsp. albiflorus. Shepherdess tending a flock in the late afternoon outside the small village of Kameno. 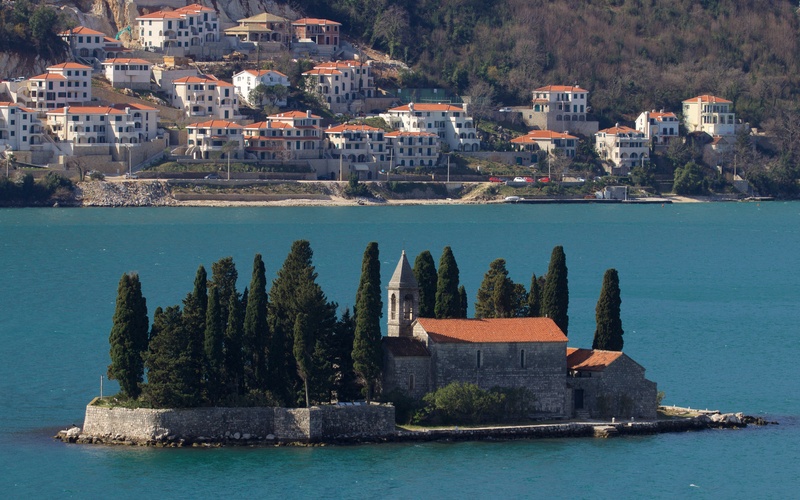 The Bay of Kotor with its old fortified city of Kotor and the adjacent towns of Perast and Risan is, like Dubrovnik, another cruise ship magnet. The butterfly bays are connected by narrow straits and surrounded by steep hills. I travelled the bays a few times; one of the best routes was the road from Kotor to Njeguši and then up to the summit of Lovćen. The winding road gives spectacular views and the roadside verges and cliffs hold interesting plants and butterflies. The Bay of Kotor from the winding road from Kotor rising to the village of Njeguši and also to Lovćen mountain. 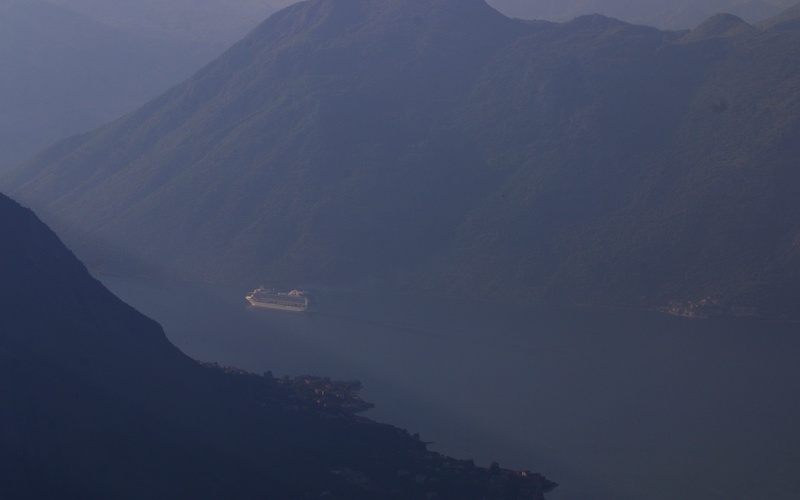 One of the endless succession of cruise ships leaving the bay after visiting Kotor. 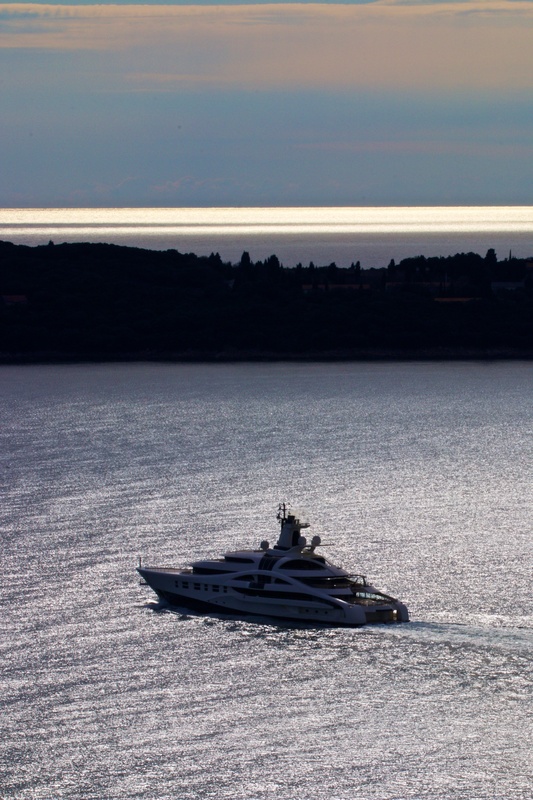 A luxury yacht leaving the Bay probably from Porto Montenegro in Tivat. 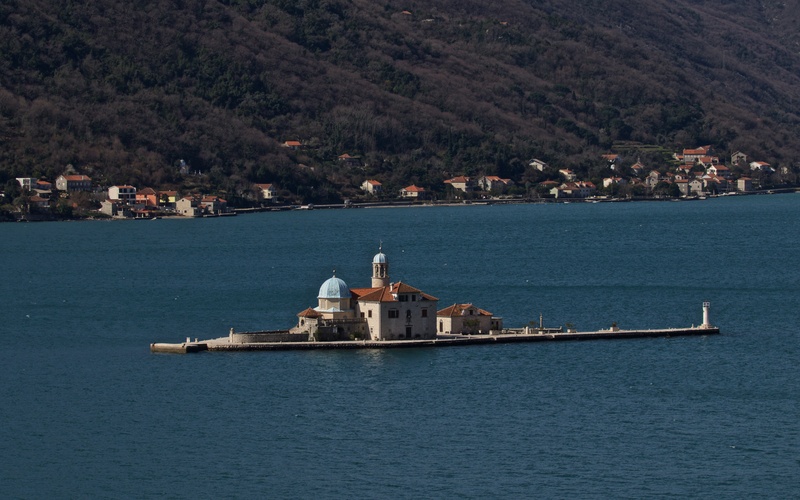 Two famous landmarks in the Bay of Kotor: Ostrvo Sveti Đorđe (St. George’s Island) and Gospa od Škrpjela (Our Lady of the Rocks). The latter is much visited by tourists to see the paintings and tapestries. 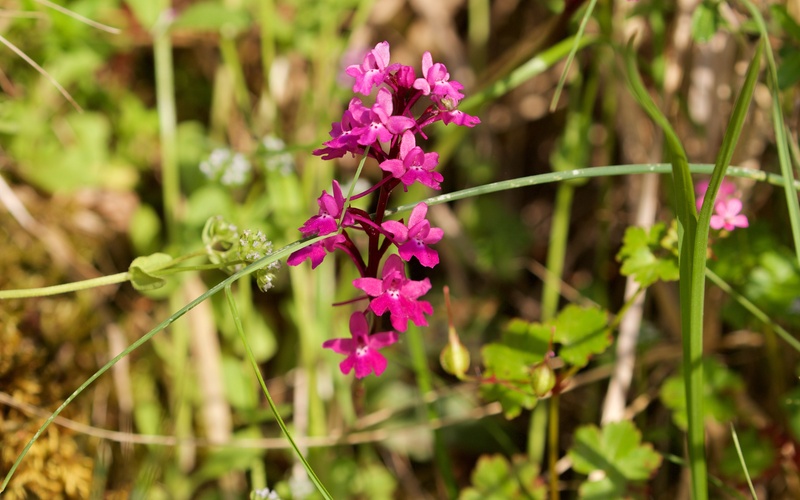 Four-spotted orchid (Orchis quadripunctata) and Campanula ramosissima were both growing by the road above Kotor along with marsh fritillary (Euphydryas aurinia) butterfly. 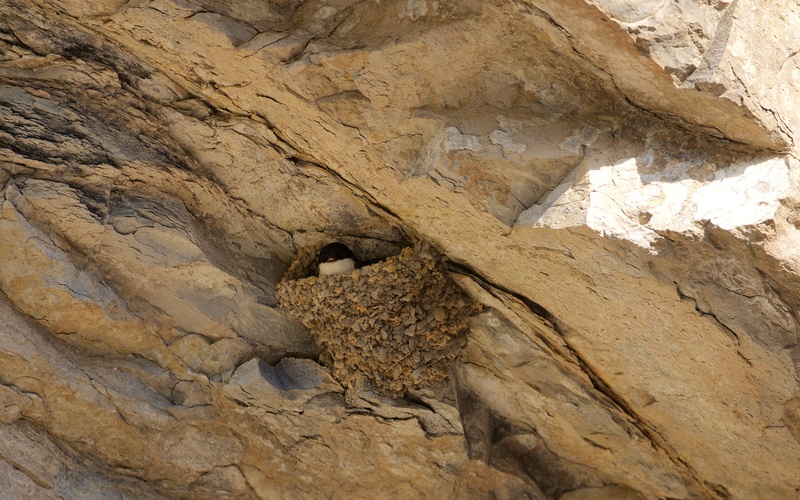 One of many house martin nests under a large overhang by the road above Kotor.